Complete arrow with nock and vanes. Points sold separately. 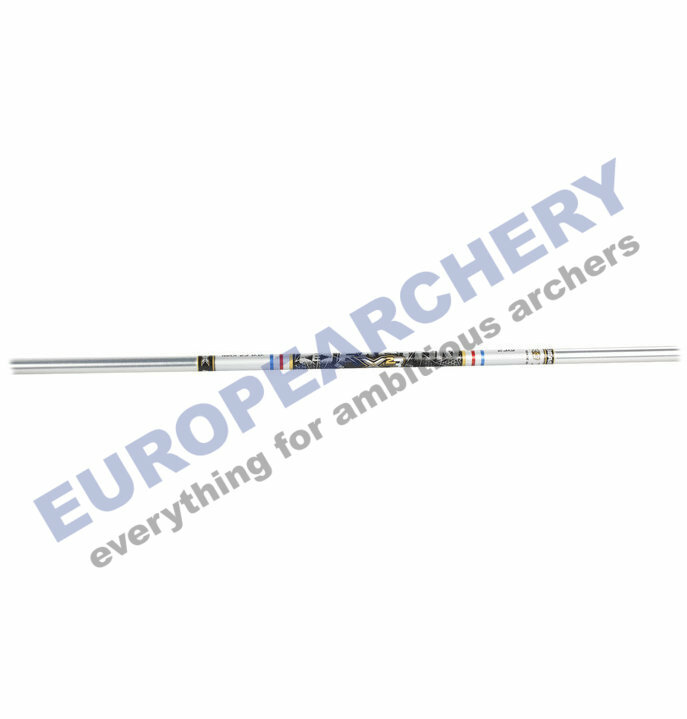 The X23 is the all-new 23 size shaft optimized for maximum diameter, indoor, World Archery regulation competition. The sleek, classic, diamond polished anodize silver finish is distinctive on the line and in the quiver. Precision and proven X7 alloy performance. Shafts can be cut to length. Please specify the desired length of the shaft only (bushing included but without point or nock) in mm. If field is left empty full length shafts will be supplied.